A SNAPSHOT of advertising in The Press and Journal has found that just less than 17 per cent of the main paper was taken up with adverts. The review, of the January 13, 28-page edition of the Aberdeen-based broadsheet paper, found display advertising was largely local (including two substantial ads from opticians) although it did carry national copy from spread betting firm, CMC Markets, www.learning-works.co.uk, and a large ad from flybe.com. The review is part of an allmediascotland.com trawl of both indigenous titles and London ones operating as clear Scottish editions. Already, allmediascotland.com has found that the January 13 edition of The Scotsman comprised 12.69 per cent of display and classified adverts, while The Herald’s total – on the same day – was 24.65 per cent. 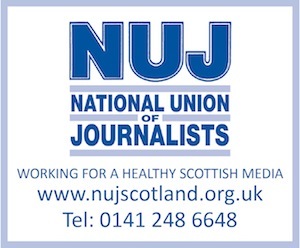 The corresponding figures for the Metro, Scottish Sun, Daily Star of Scotland, the Scottish Daily Mail and the Daily Record were 26.49 per cent, 28.05 per cent, 23.91 per cent, 20.05 per cent, and 20.86 per cent. The Courier’s total, even including in-house ads, was 14 per cent. Allmediascotland has still to reveal the amount taken up by adverts in the January 13 editions of, The Times (Scotland) and the Scottish Daily Express. The review follows reporting on allmediascotland.com of the quarterly, Bellwether, survey of company marketing budgets which recorded the biggest decrease in ad spending plans in its nine-year-history. Only seven per cent of companies reported plans to increase their marketing, while 49 per cent said they were planning to decrease. The January 13, 28-page main paper of the Press and Journal had a half-page devoted to family advertising (births, deaths and marriages) and four pages of classified, including one on motors, and a half-page for its dating service. In-house advertising, across a variety of platforms, prominently featured parent company Aberdeen Journals’ city centre retail shop. In-house advertising took up two pages – sprinkled throughout the paper, including the classified pages. The P&J also had a 24 -page tabloid supplement – Your Home – on January 13 which carried 15 pages of property advertising – about 63 per cent.